Ok here is BMW new idea,,,this is the new expensive tool in the shop,,,yes we are starting to machine brake rotors when the rotors are warpped,,,me personal I don’t like this idea,,,,I never liked it when we did it along time ago when we had to remove the rotor and put them on a machine to turn the rotors,,,,now the machine comes to the car. I have to say this is one hell of a machine,,,,I was impressed on how well this machine performed,,,these rotors had a warpage of .10 mm,,,,the portable brake lathe easily cut the brake rotor. Here is a little video of the brake lathe in action,,,,you noticed I’m now on the passengers front wheel,,,,and the brake lathe head has to rotate to the other side to cut the rotor. 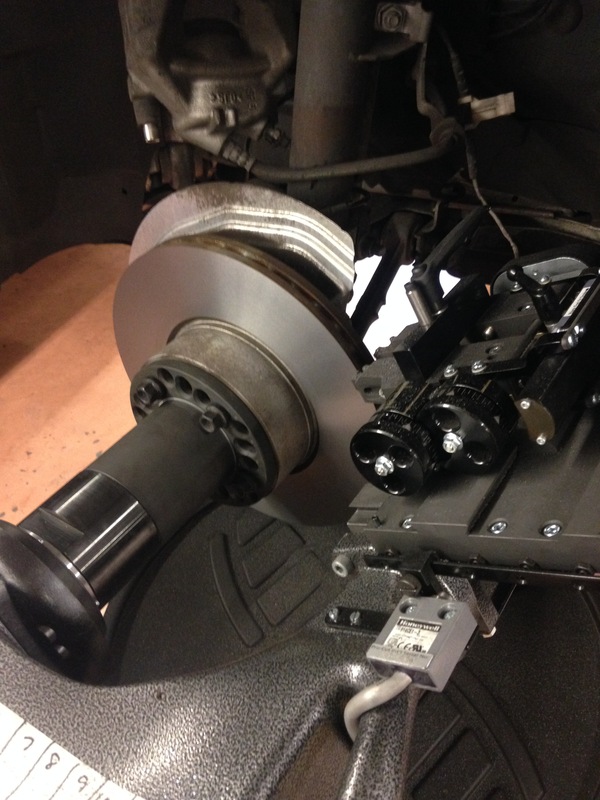 This entry was posted in Uncategorized and tagged BMW, Brake lathe, brake rotor. Bookmark the permalink. I had this done on my CPO 2015 335ix as I had some shimmying in the steering while braking from freeway speeds. The on-car brake lathes used got my rotors back within spec and the cut is “true” to the hub as it’s connected right to the car. 4000 miles later and so good so far. They DID replace the front pads so that might have helped also. I used to not like the idea as it thins out the rotor but it helps to eliminate rotor runout to true the rotor. I also had Honda do the front rotors on my Odyssey and it’s still perfect after 10k miles. Personally, I blame the selection of pad material. 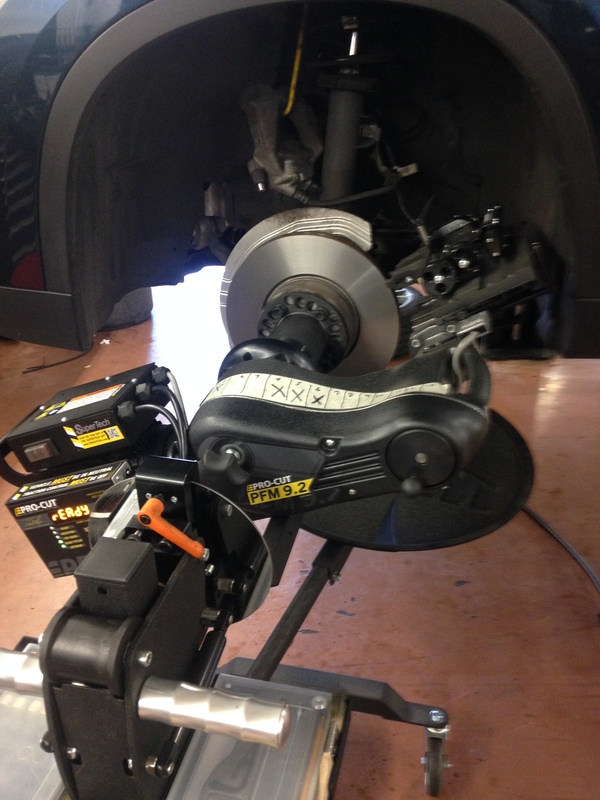 Most shimmys occur due to uneven pad deposit on the rotors when you brake hard and hold the brake pad against a hot rotor. This is great stuff. My dealer quotes $1000 per axle brake pads + rotors, does it mean with this rotor lathe the price will drop to, say, $500?